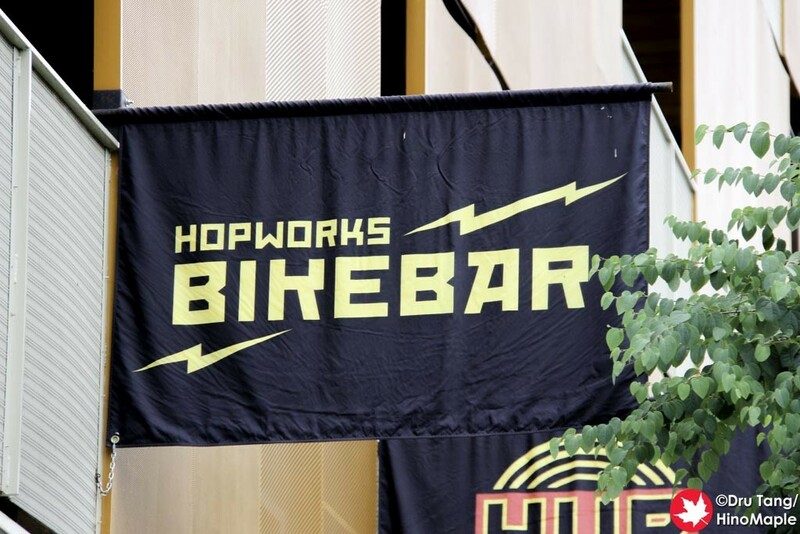 Hopworks Urban Brewery, or HUB as it is almost always displayed, is a great brewery and I had the chance to go to their Bikebar. I remember hearing from someone that their Hopworks IPA was really good, and it is organic, so I had to try it. I made sure I stopped by as my last destination in Portland before I headed back to Vancouver. 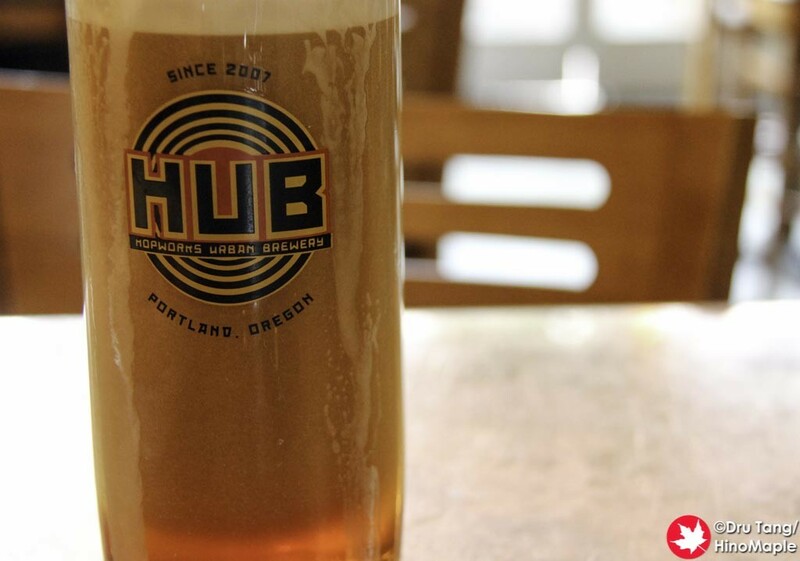 HUB’s Bikebar is located outside of the downtown core of Portland, and a little north of it. It isn’t very far from the downtown core but you can’t walk there. The neighbourhood it is in is really nice and really quiet with a few upscale places in the area. The area was undergoing a little construction at the same time but there really wasn’t much we could do about that. I could only guess that the area was growing and they needed to build new things. 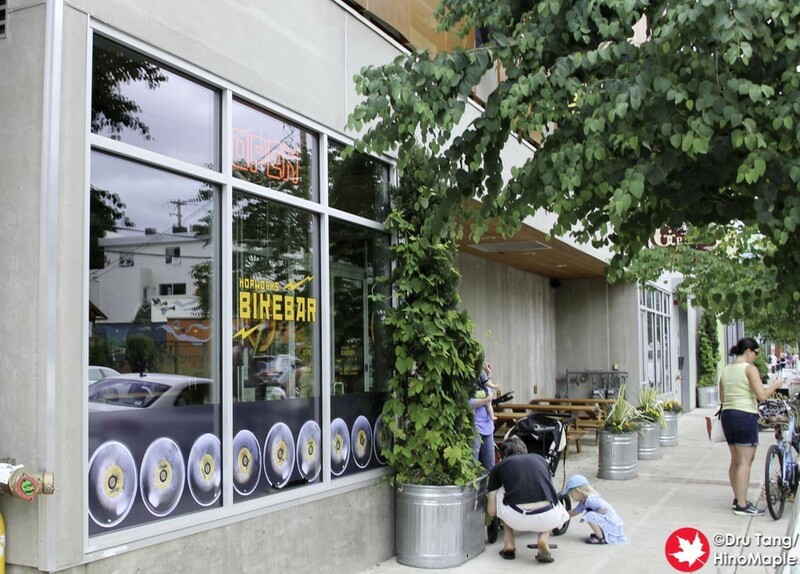 The Bikebar is a great place and outside there are a couple of stationary bikes. 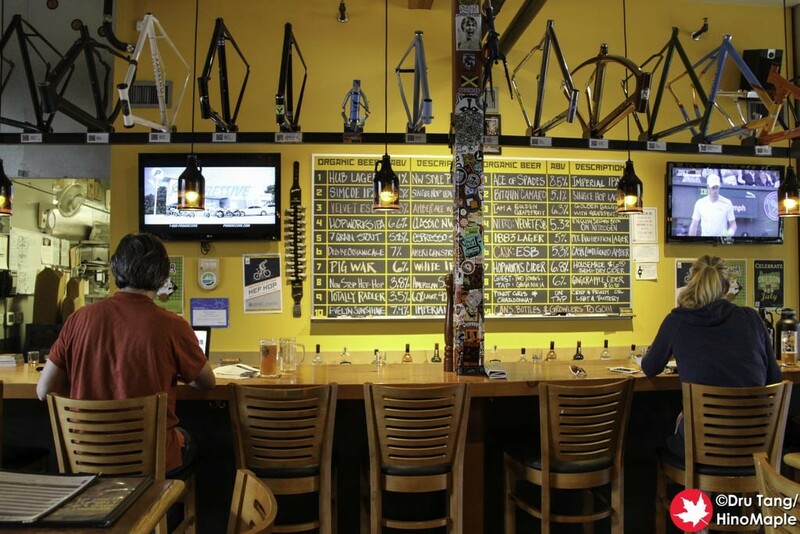 HUB is very environmentally conscious and the bikes outside were used to help power batteries for the brewery and bar. I forgot how much you could save, but you can definitely save a little off of your bill as well as burn a few calories. I wish I knew this before I went in as I would have cycled a little to help them and to save a little money. Inside the decor was really cool. They took a lot of the colours from their logo with a lot of wood notes and yellow. The name BikeBar is a little strange until you notice that the bar is on a major cycling road and they have old bike frames around the entire bar. Above the bar they had a lot of different expensive frames, and I believe some of them were for sale. They also had frames to help with the lighting. 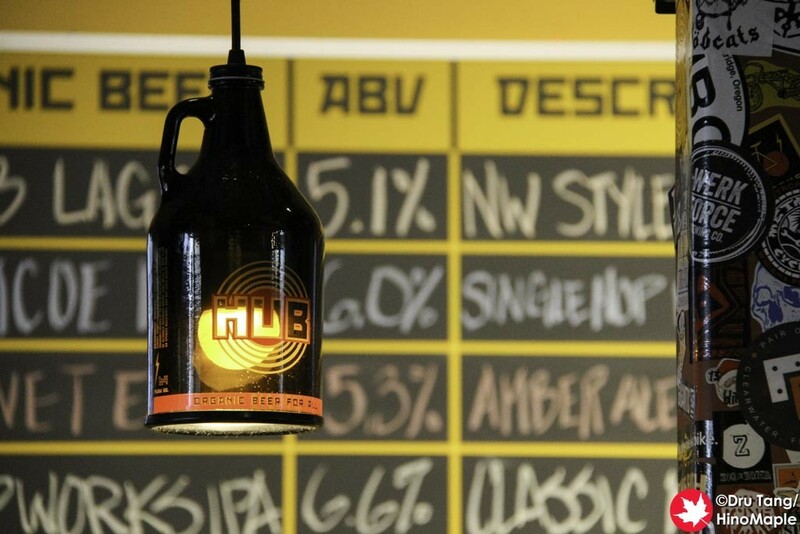 The lights were also really cool as instead of lamp shades they used growlers to diffuse the light. 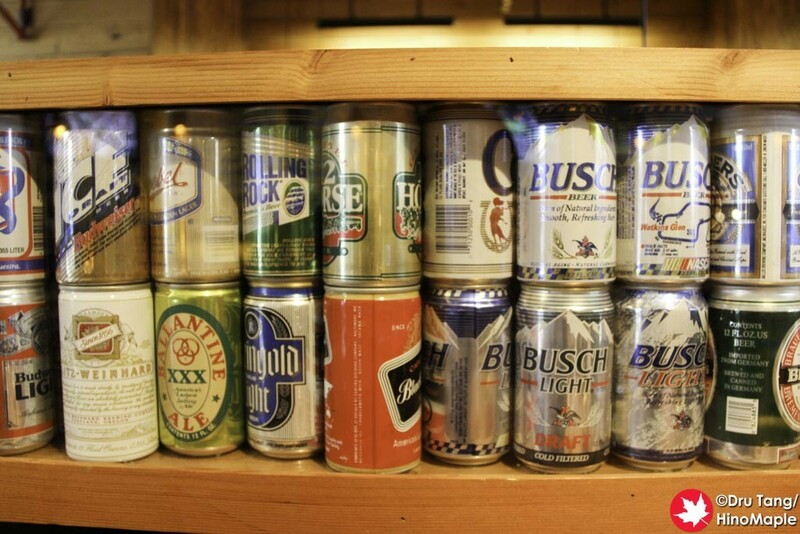 They also had cans that were turned into planes and a display case full of international beers. 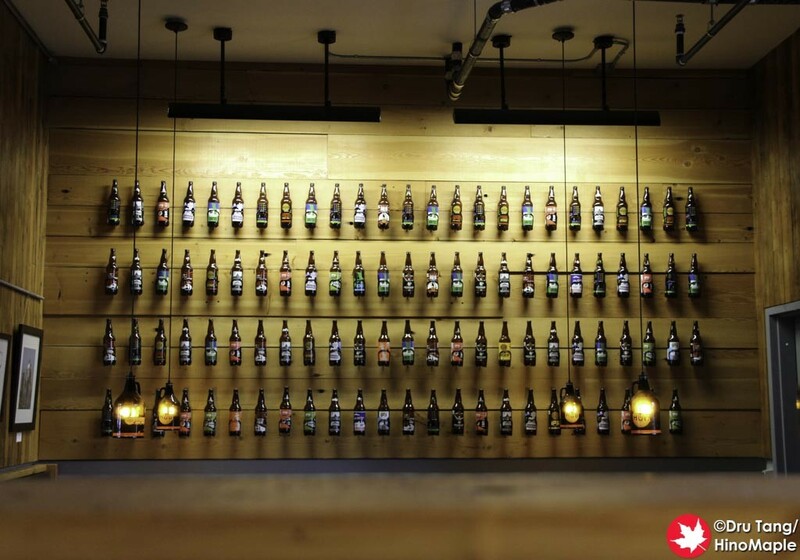 The beers could have been craft brews but in general it was all major labels. 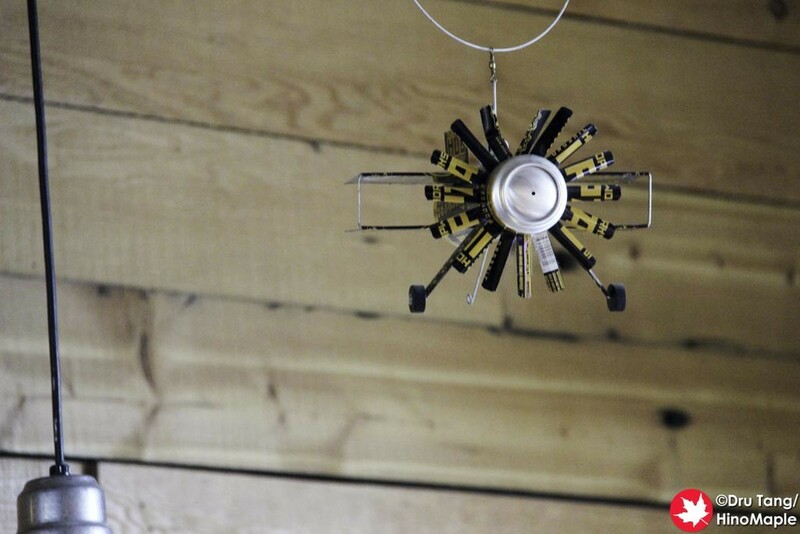 It was still a great idea and I couldn’t help but fall in love with the designer’s work. They had a lot on tap too. I had a couple of their beers and they were all excellent. The first beer I got was the Ace of Spades. It is an Imperial IPA and it was delicious. It was recommended to me by a guy I met by chance in Vancouver while visiting Bomber Brewing; I had to get it and I was happy to drink it. I also got the Velvet ESP from the nitro tap. In Japan, nitro beers are not very popular so while in Portland I had to try a few nitro beers to see what the fuss was about. It was good but without a side by side test, I couldn’t tell which would be better or which I would like more. 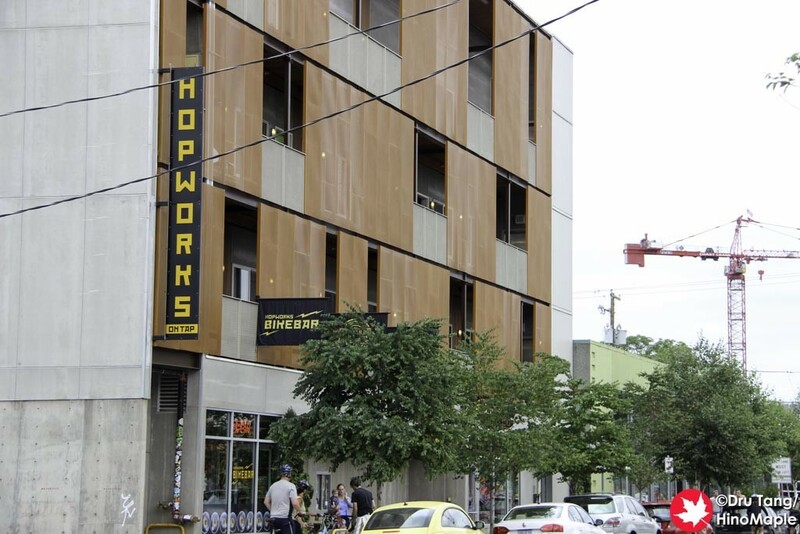 I also got a bottle of Hopworks IPA to take home as it was relatively cheap and their most famous beer. The food at BikeBar was good too. Portland has a real high standard when it comes to food and HUB does a good job to keep up with it. I wasn’t hungry as I had a great barbecue breakfast and was still full. 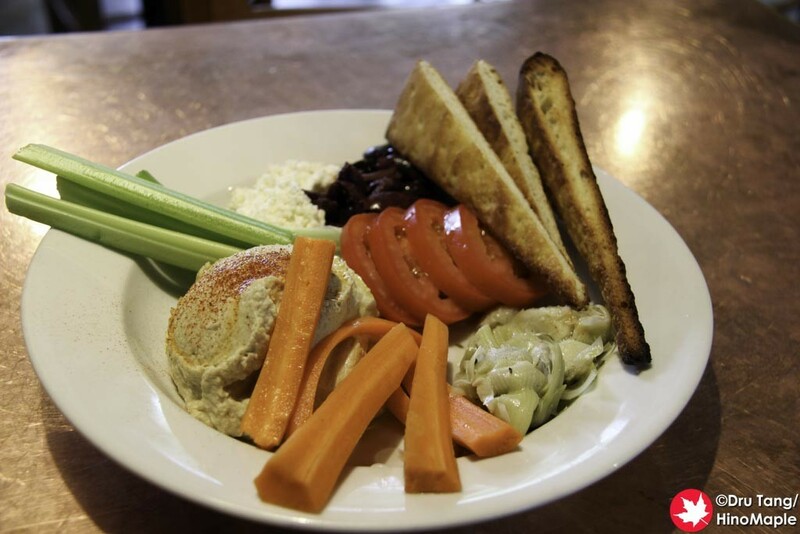 I ordered the hummus and it was larger than I expected, about 2 times larger to be precise. I was laughing at how big it was and how full my stomach was as well, but I did my best and just got the rest boxed to go. It was really good and I only wish I had more time to eat the other dishes they had. HUB is a great place and I only wish I had more time to enjoy the place. With only a couple days in Portland, I really couldn’t do enough. The entire trip was rushed but I was really happy that I made a stop at HUB. You can be sure that I will be back. 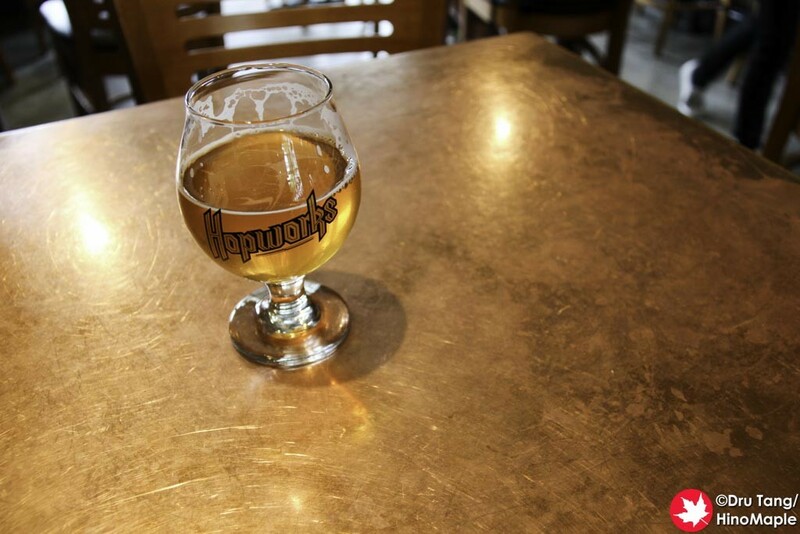 This entry was posted in US Food and tagged America, beer, Bike Bar, BikeBar, craft beer, Hopworks, Hopworks BikeBar, Hopworks Brewery, Hopworks Urban Brewery, HUB, Oregon, Portland, US, USA by Dru. Bookmark the permalink.